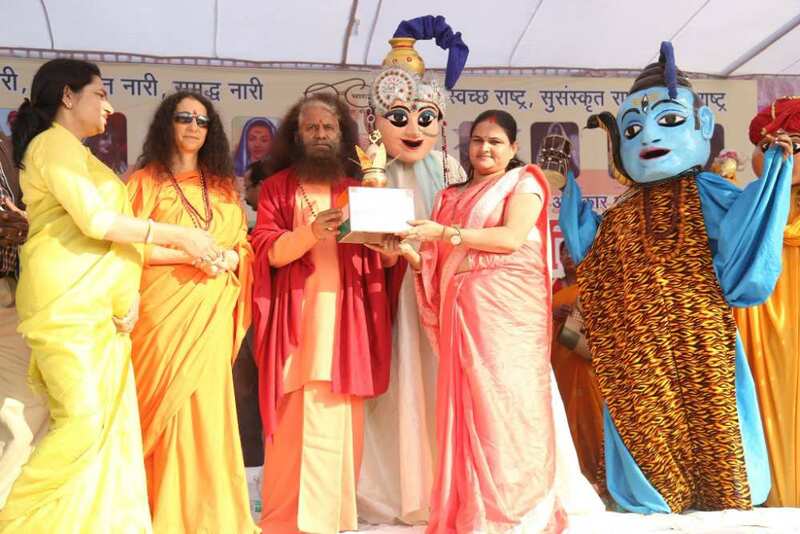 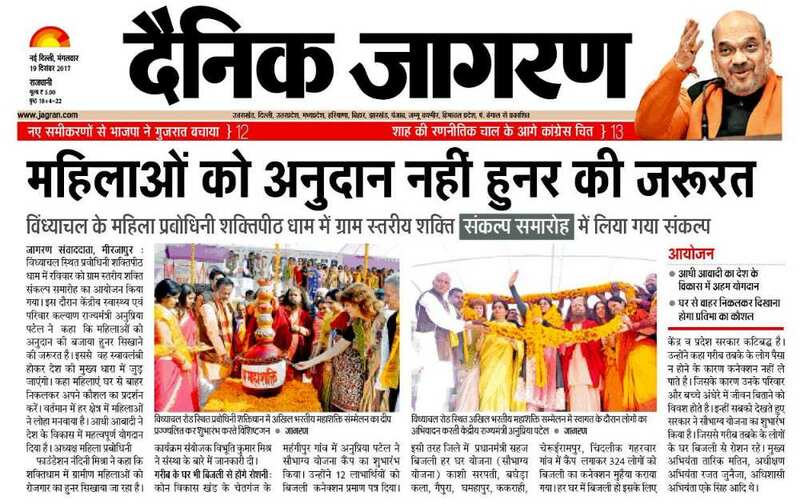 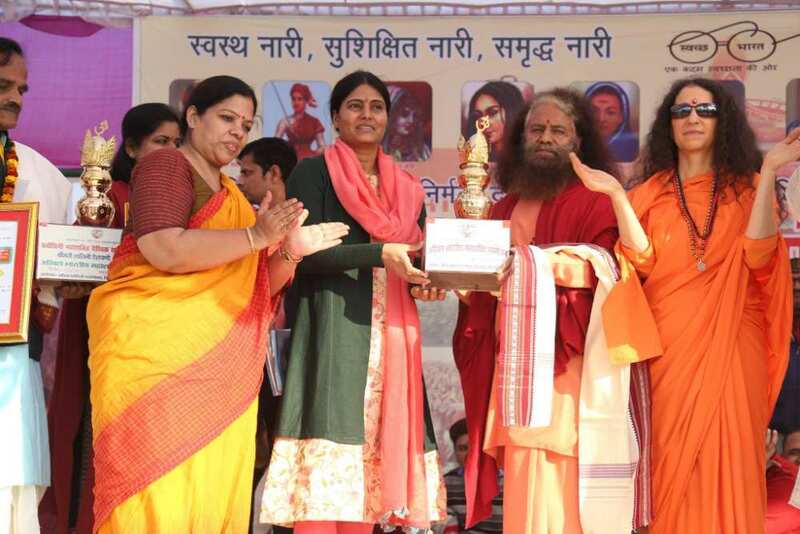 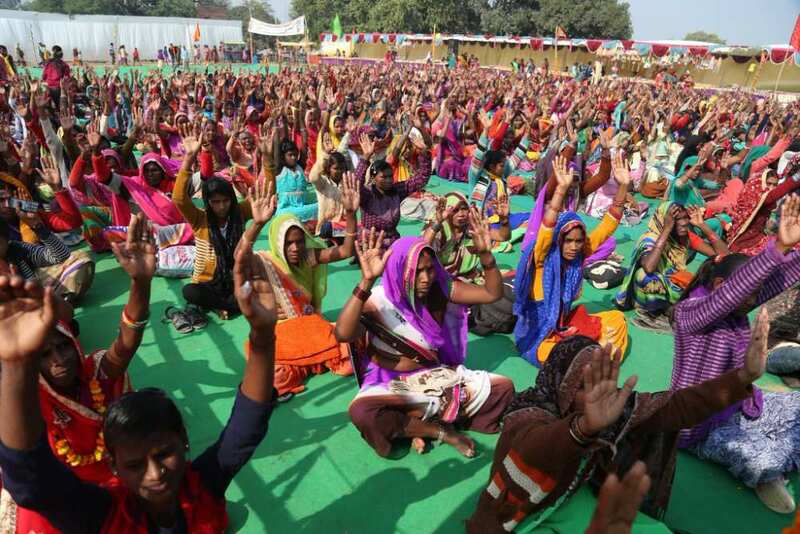 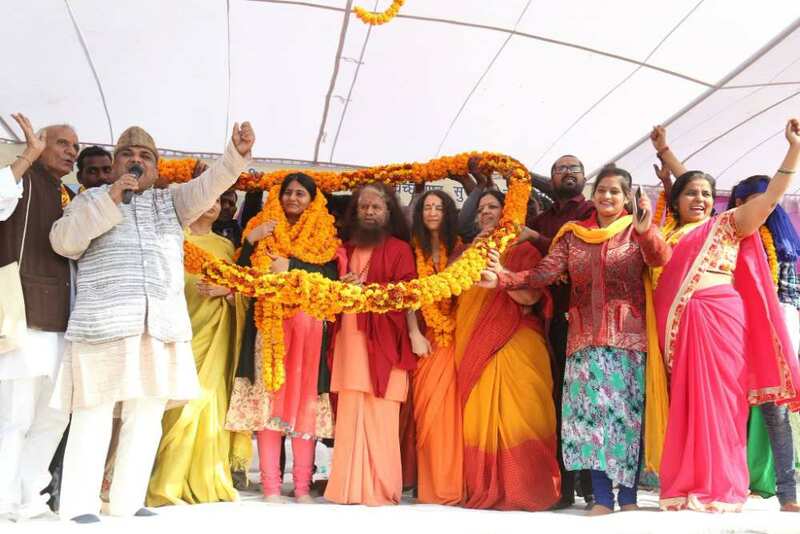 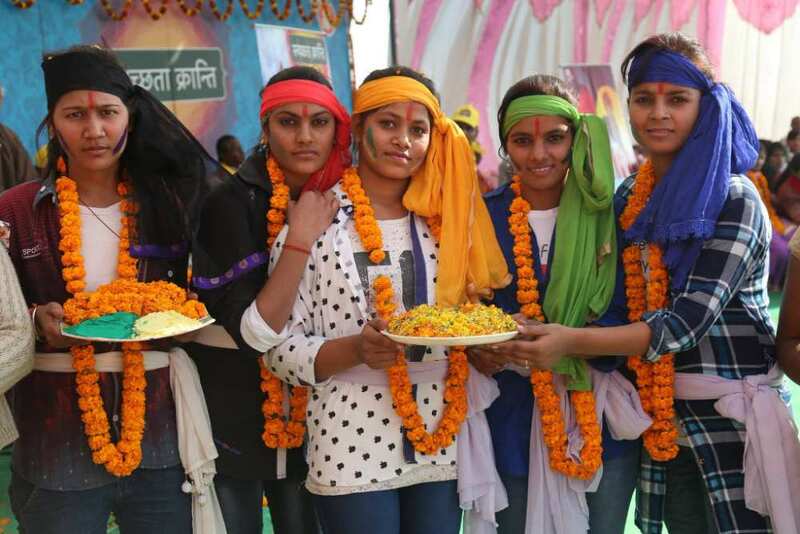 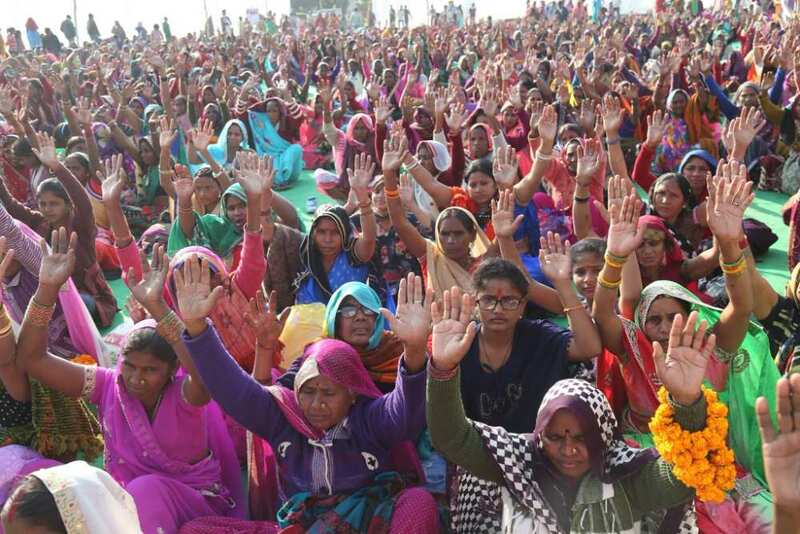 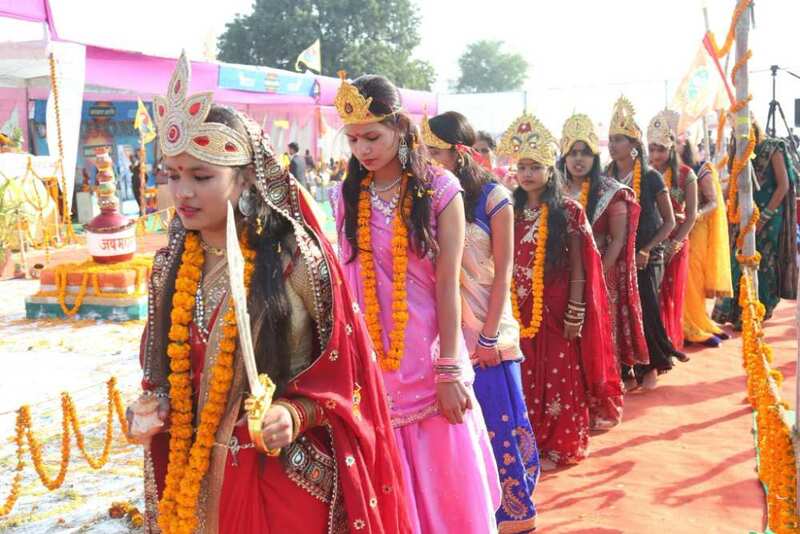 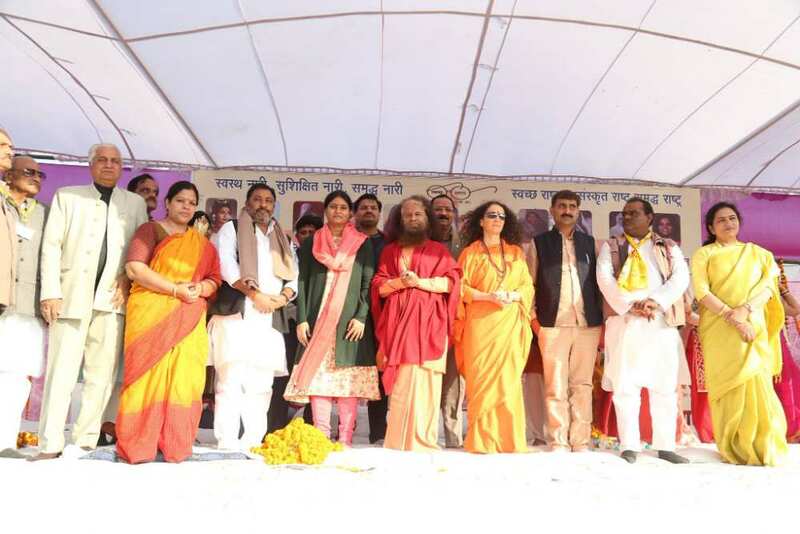 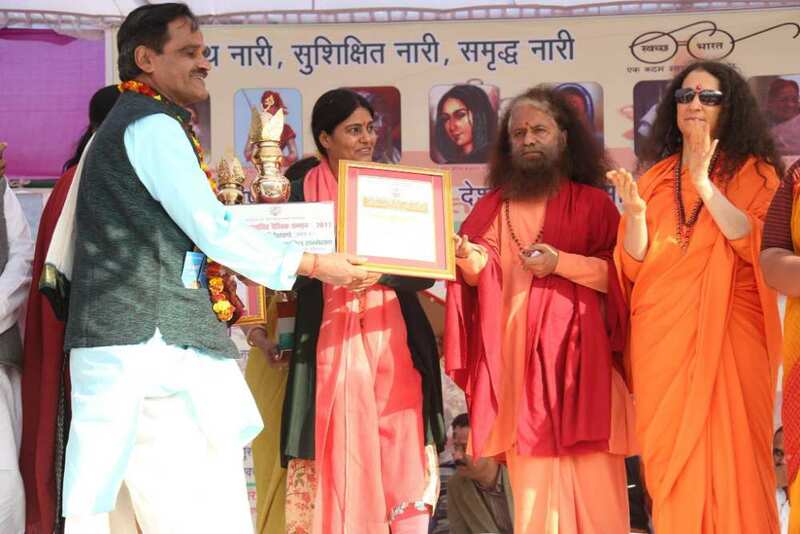 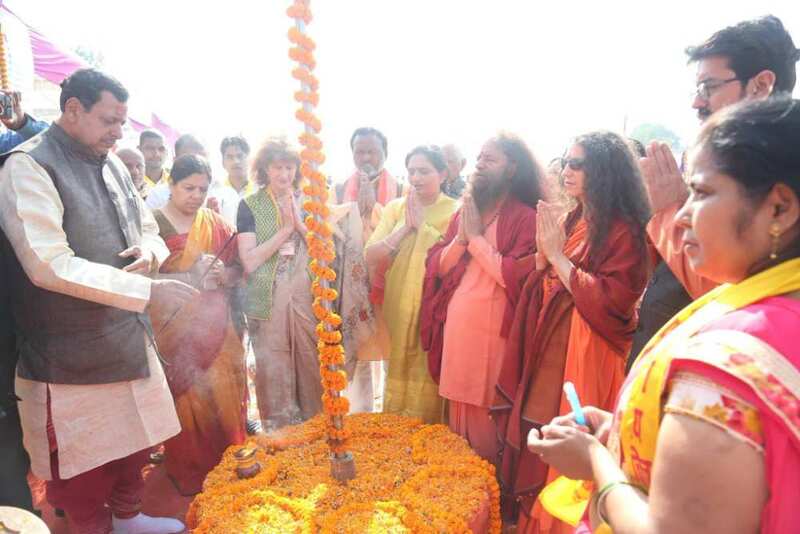 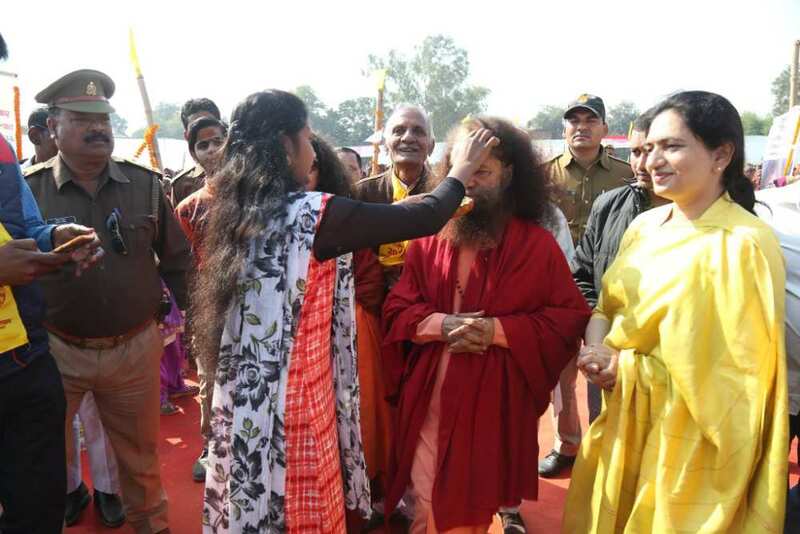 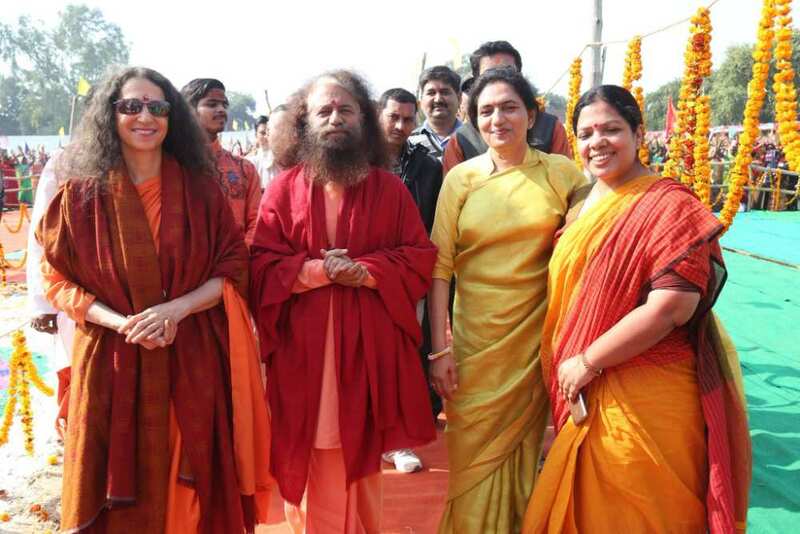 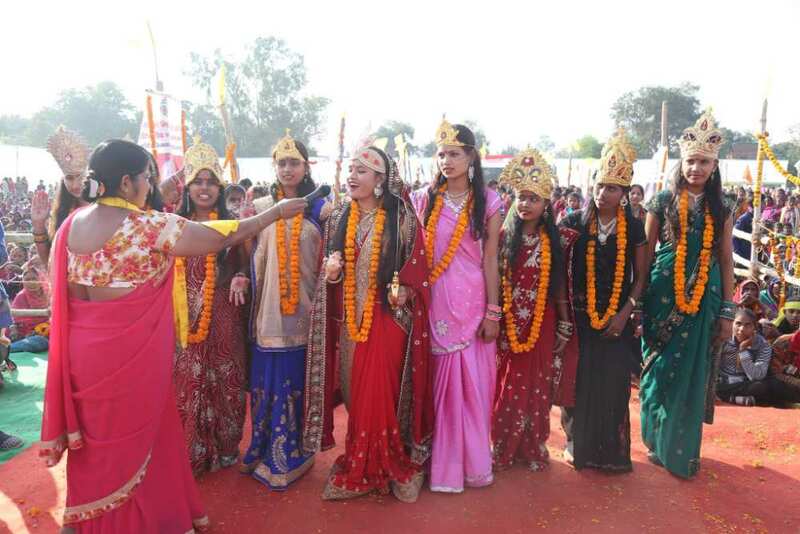 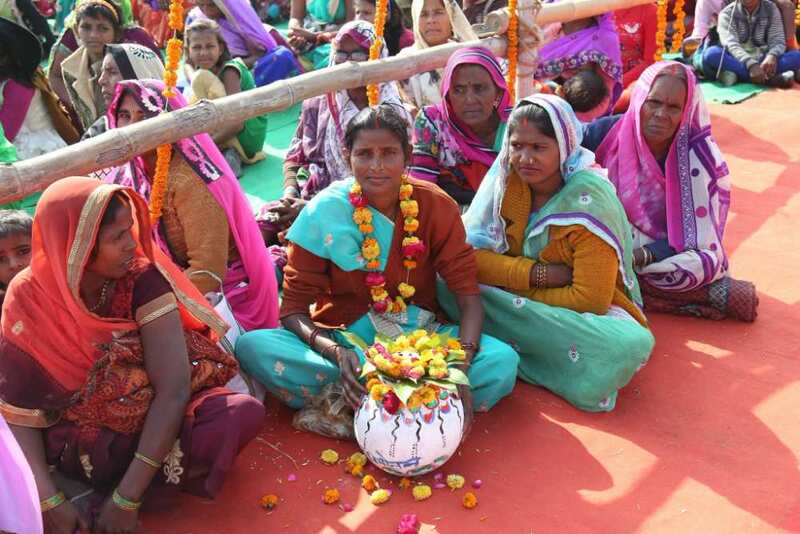 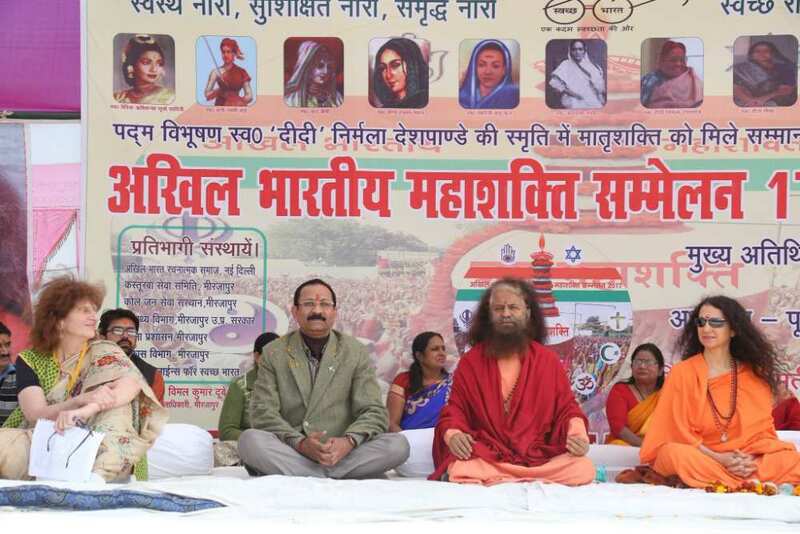 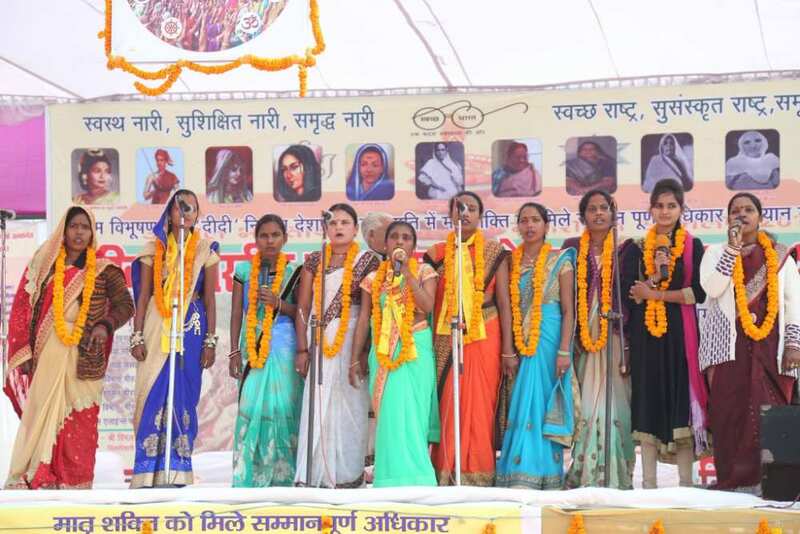 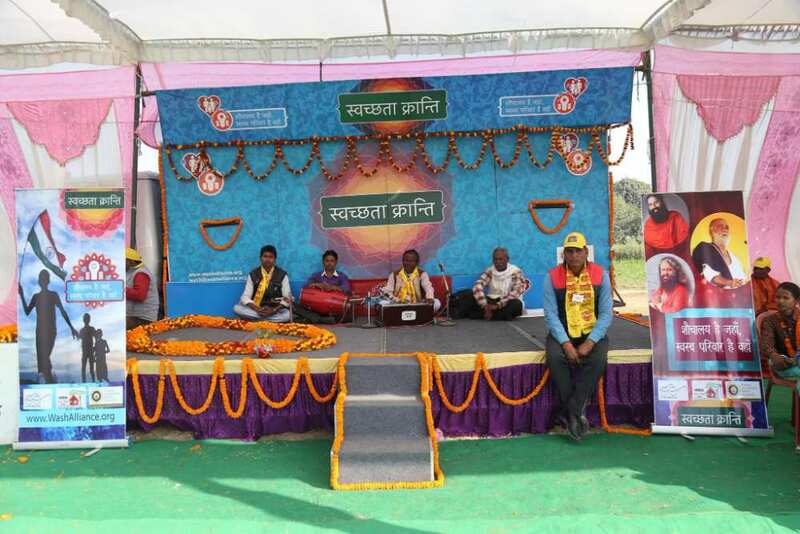 A unique celebration of the divine feminine and women’s critical role in the Swachh Bharat Mission took place in Vindhyachal, Uttar Pradesh recently. 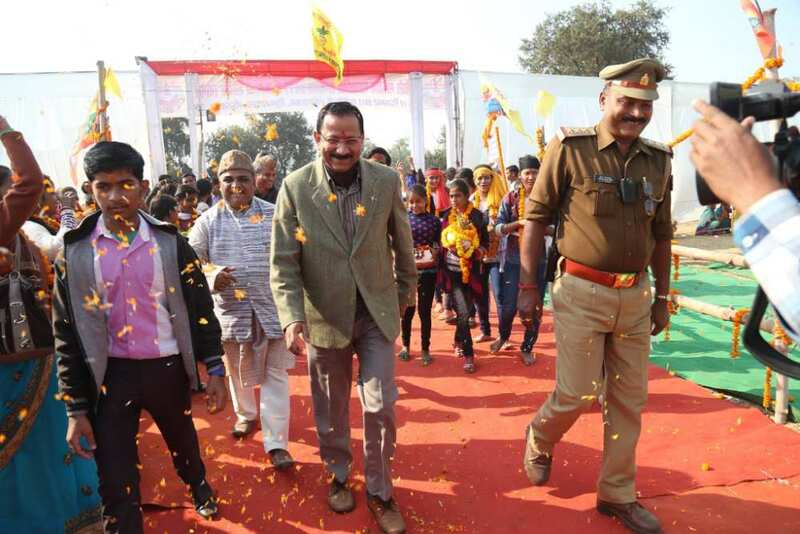 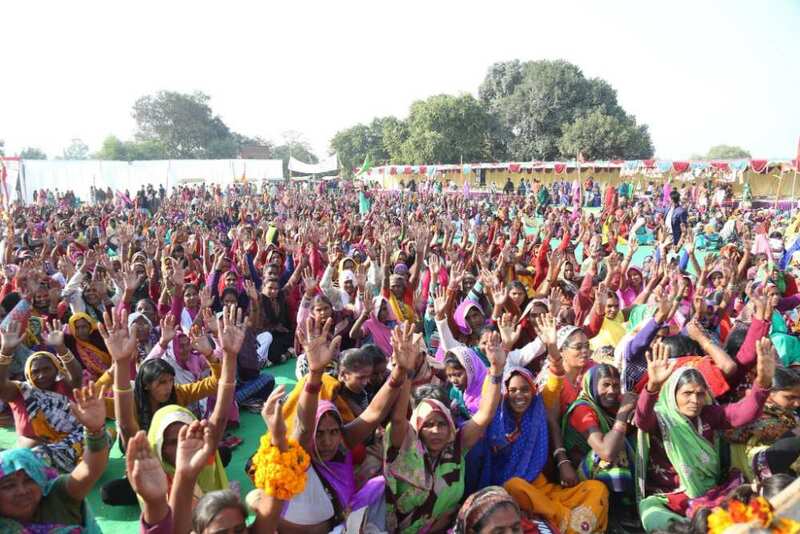 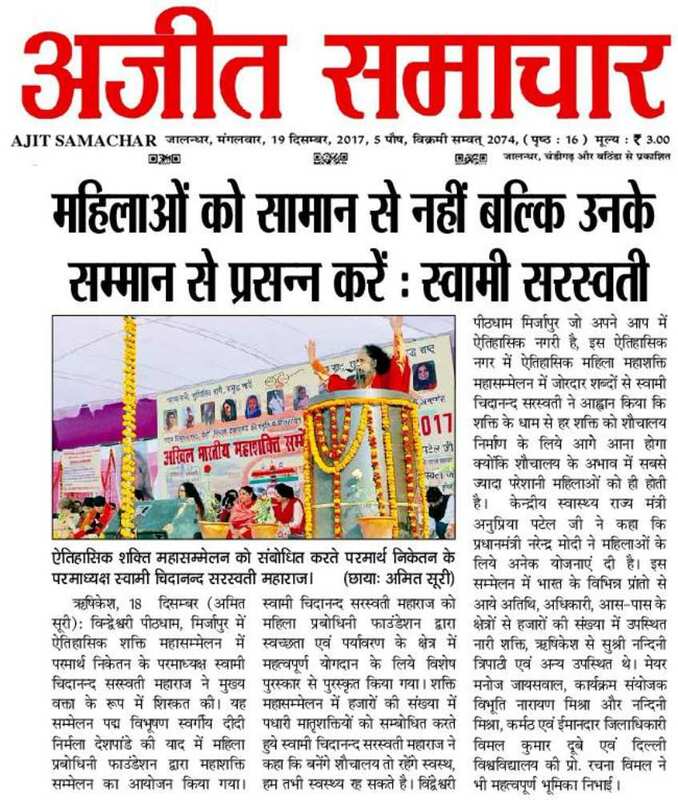 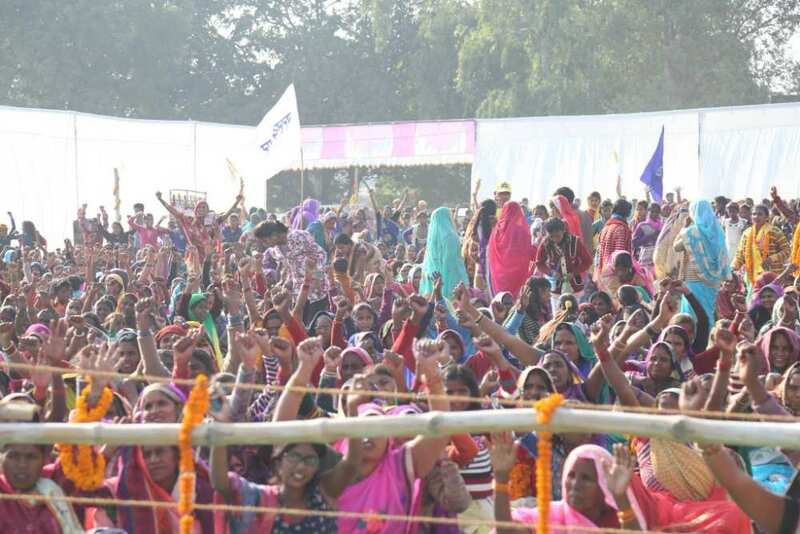 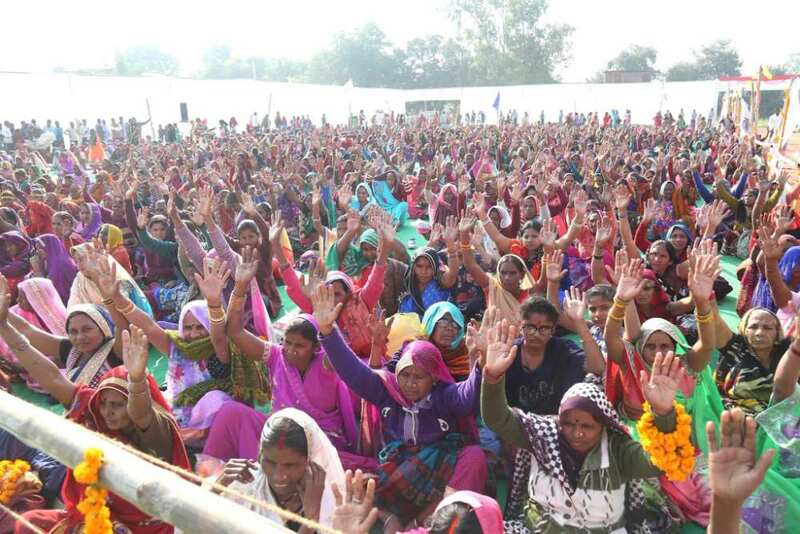 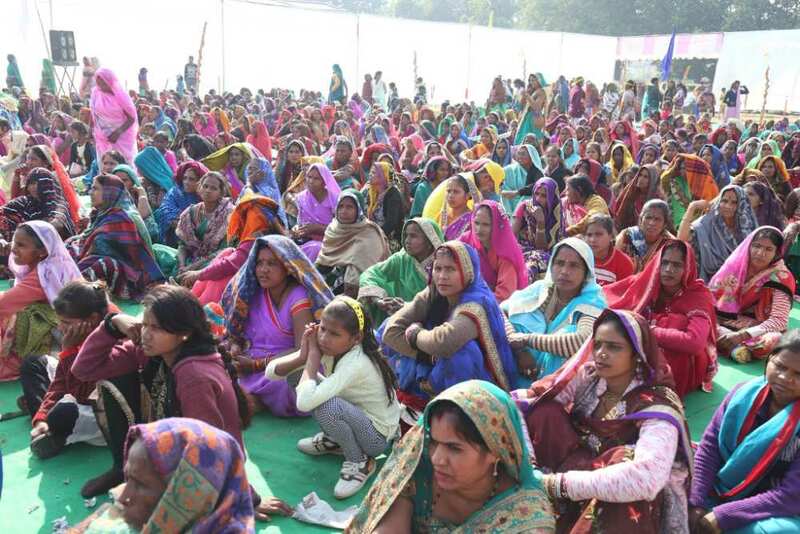 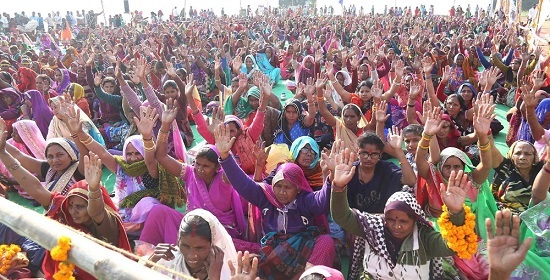 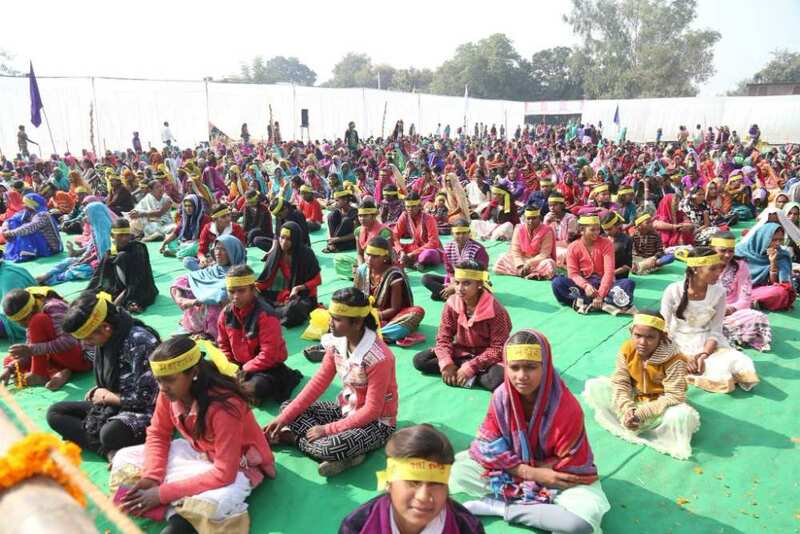 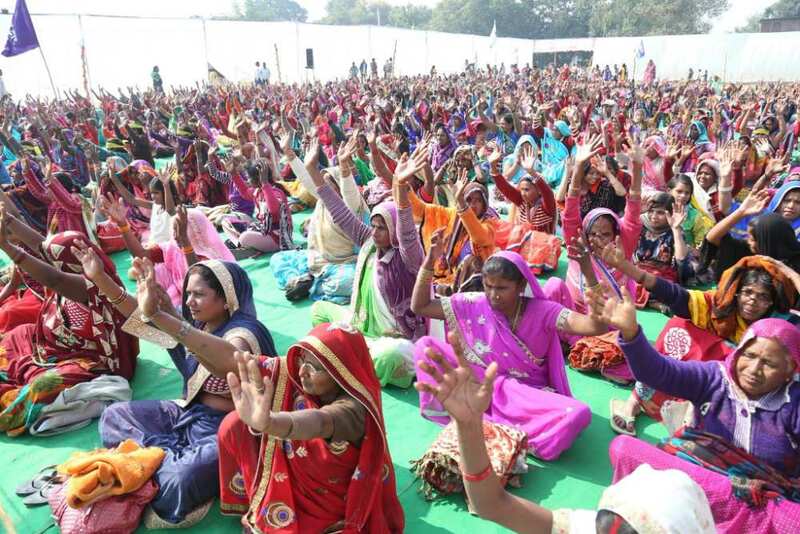 Tens of thousands of women from local village areas gathered with great excitement and enthusiasm for the Shakti Sammelan, focused on women’s empowerment and upliftment. 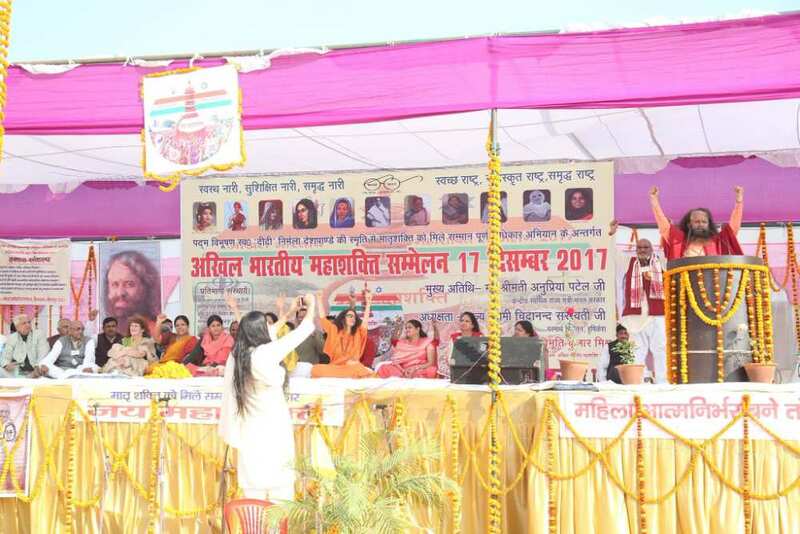 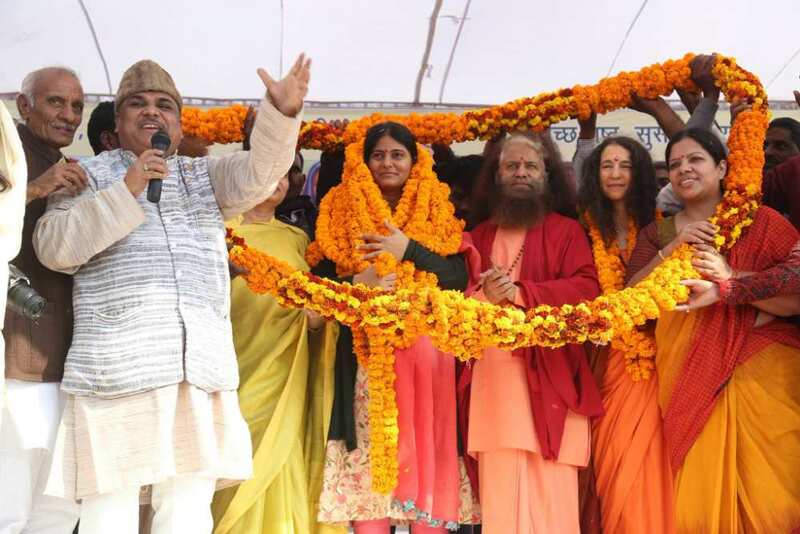 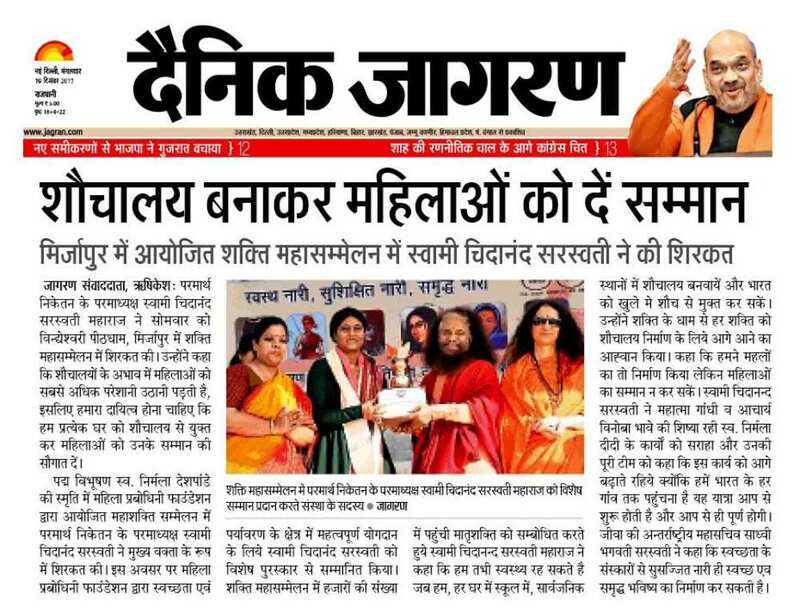 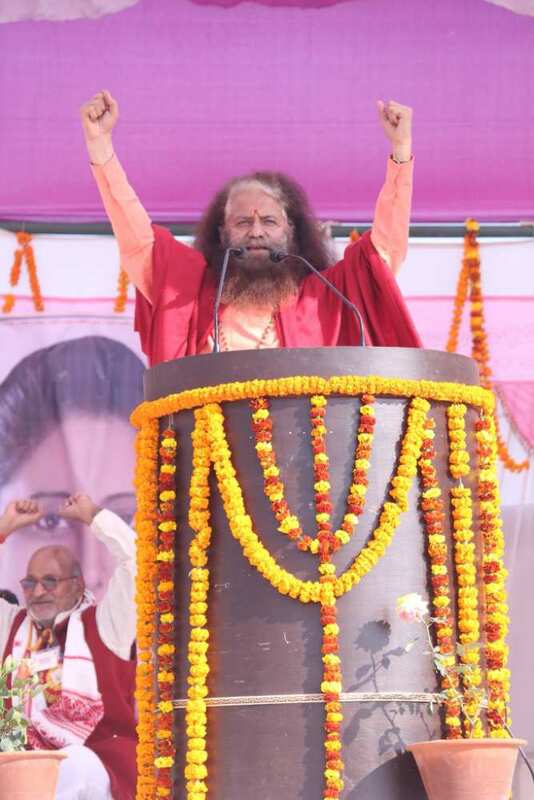 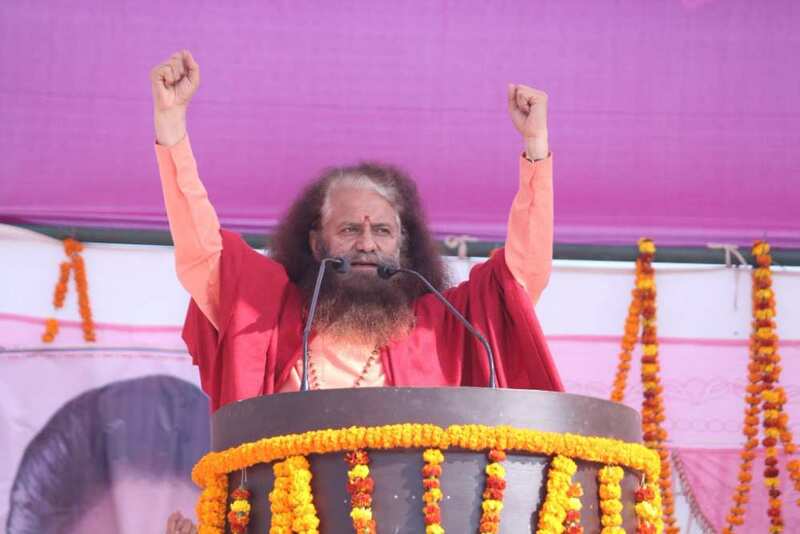 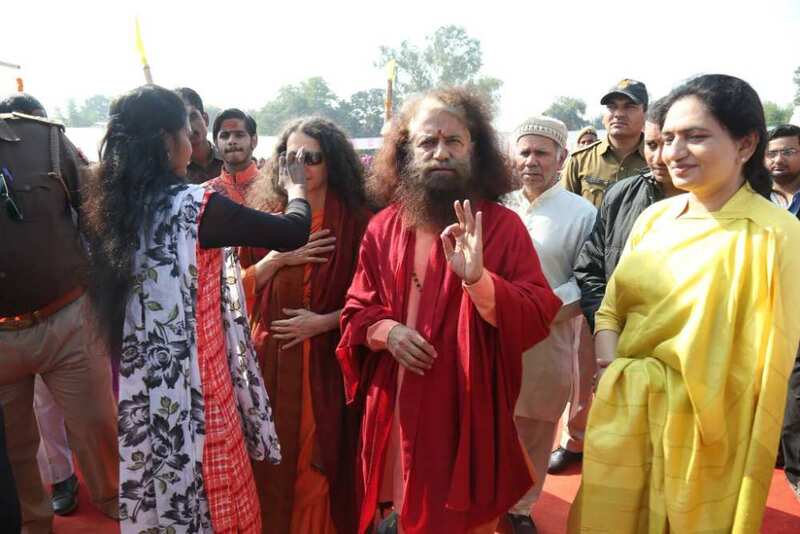 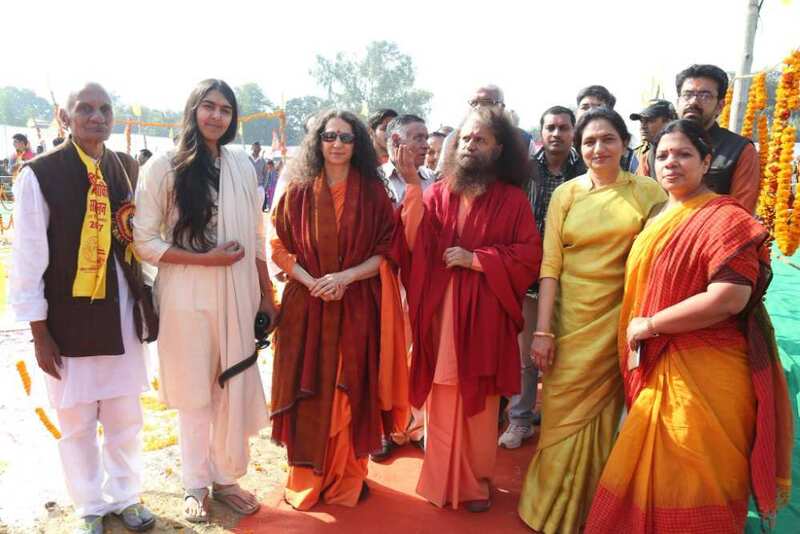 The sammelan concluded with a huge, mega event attended by women from villages across Uttar Pradesh graced by the presence and inspiring words of HH Pujya Swami Chidanand Saraswatiji,​ Co-Founder of the Global Interfaith WASH Alliance​, President of Parmarth Niketan (Rishikesh), and Sadhvi Bhagawati Saraswati​ Secretary-General, Global Interfaith WASH Alliance, President of Divine Shakti Foundation. 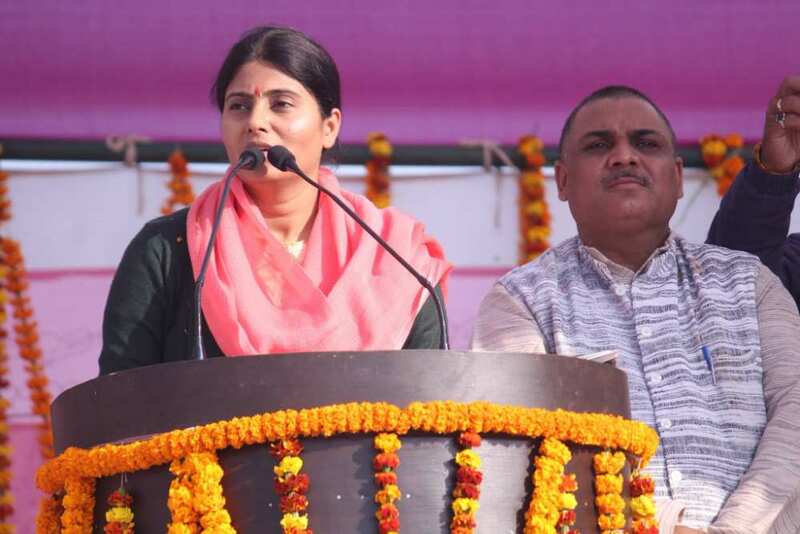 The Central Government Union Minister of State for Health and Family Welfare, Ms Anupriya Patel traveled from Delhi back to her home constituency for this special event. 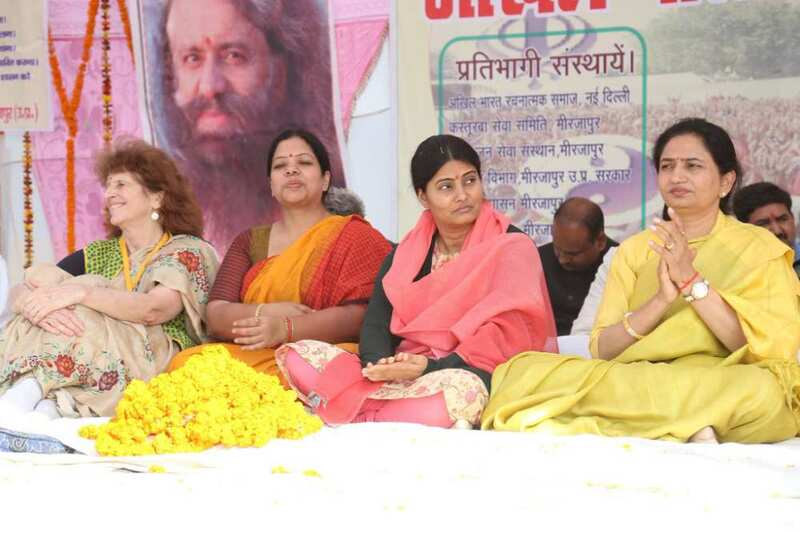 The programme was also graced by the presence of District Magistrate Mirzapur, Shri Bimal Dubeyji, Dr. Rachna Dubeyji, Ganga Action Parivar and Smt Nandini Mishra and Shri Vibhuti Mishra, heads of the Mahila Prabodhini Foundation, Vindhyachal. 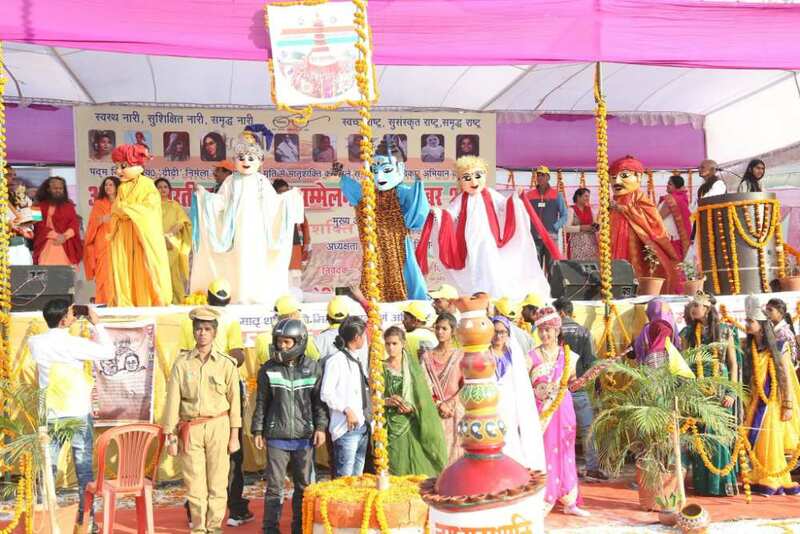 The Global Interfaith WASH Alliance’s (GIWA) team and WASH on Wheels information, entertainment and behavior-change campaign truck and street show puppets also traveled to Mirzapur from the villages of Bihar where they have been traveling through the slums and villages since October, teaching local villagers and townspeople how to lead their own communities towards a Swachhta Kranti or Clean Revolution. 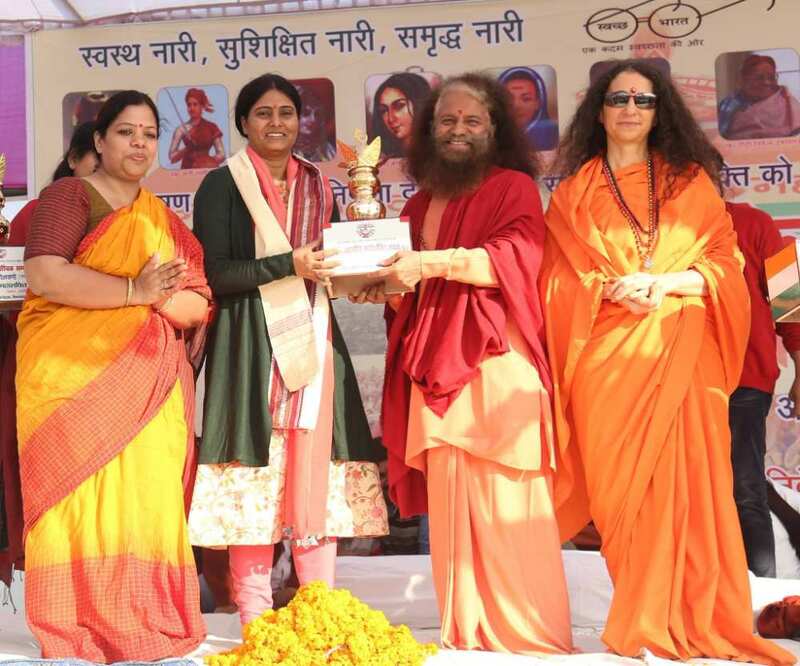 The WASH-on-Wheels programme is one of GIWA’s many efforts to end open defecation and bring about improved water, sanitation and hygiene in India through its vast array of initiatives, including the World Toilet College, WASH on Wheels, WaterSchools and Women for WASH. 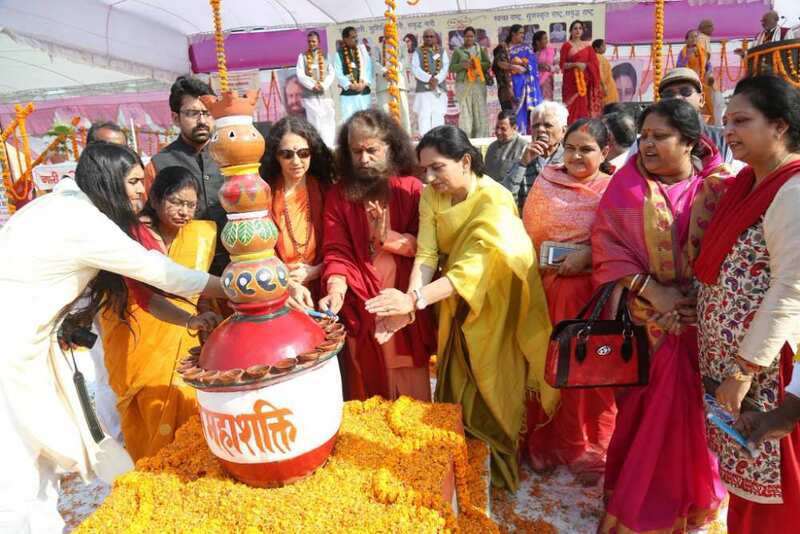 The Maha Shakti Sammelan (mega event celebrating the divine feminine), held in the sacred town and home to the sacred and ancient temple of the Goddess Maa Vindhyavasini, included colourful video presentations, musical recitals and dramatic performances as well as a mass pledge led by Pujya Swamiji and Sadhvi Bhagawatiji to work to ensure universal access to safe water, sanitation and hygiene. 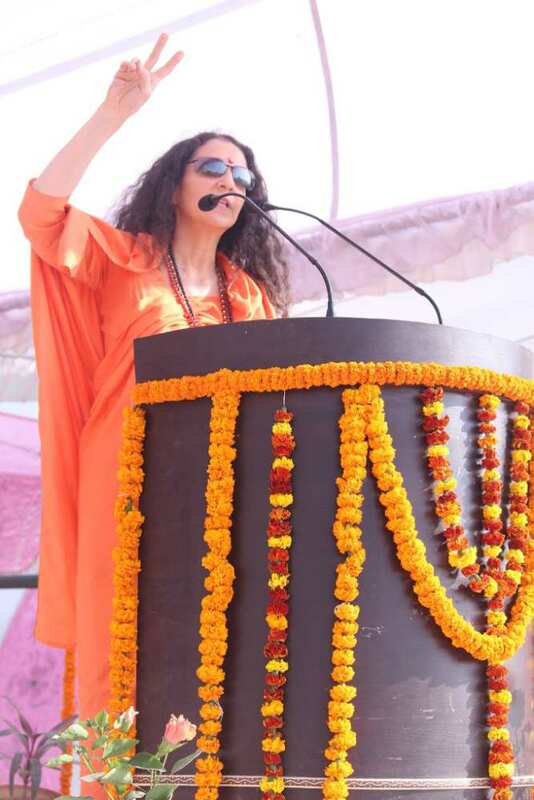 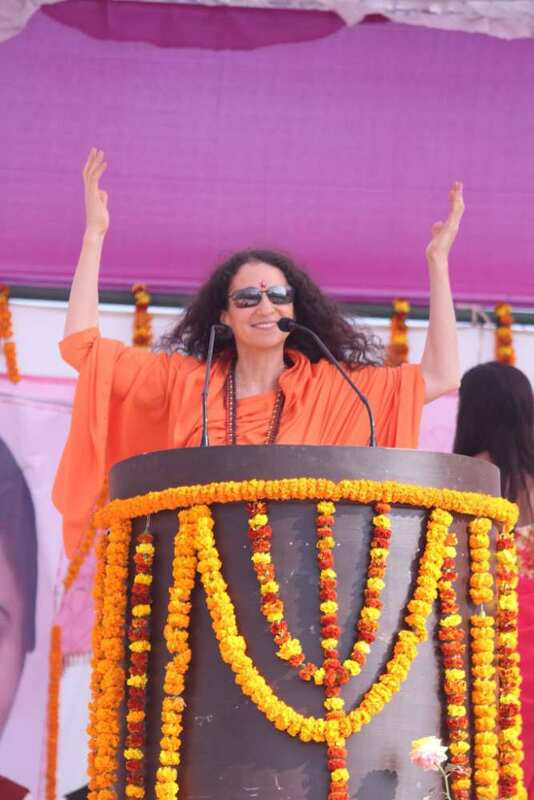 Sadhvi Bhagawati Saraswatiji, President of the Divine Shakti Foundation, said: “In Indian tradition and culture the divine feminine is always especially revered. 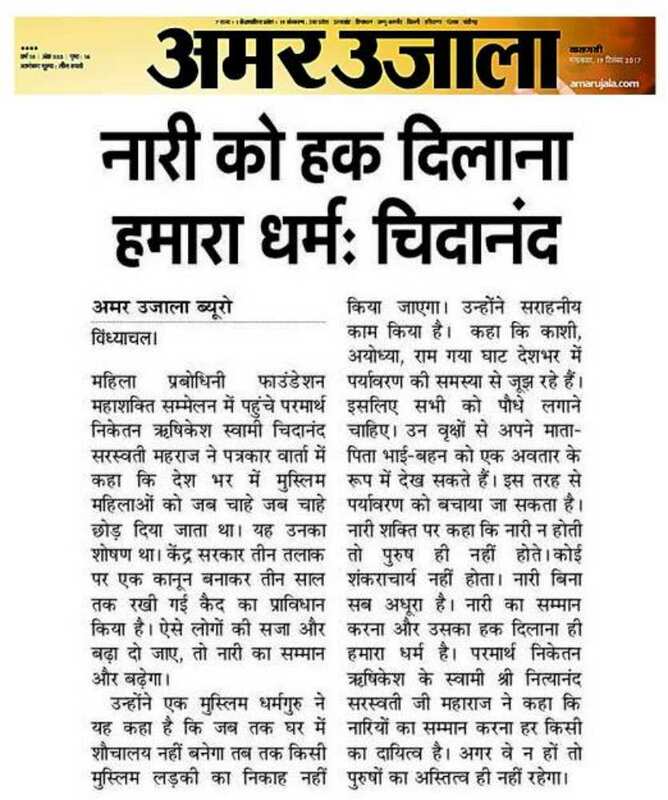 This is why we always say Sita-Ram, Radha-Krishna, etc. 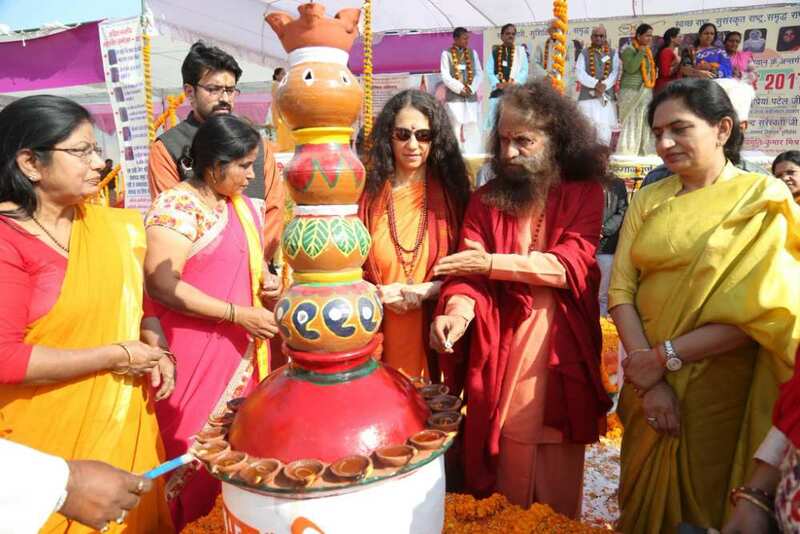 All that we deeply revere and love is considered divinely feminine: Mother Earth, Mother Nature, Mother India, Mother Ganga. 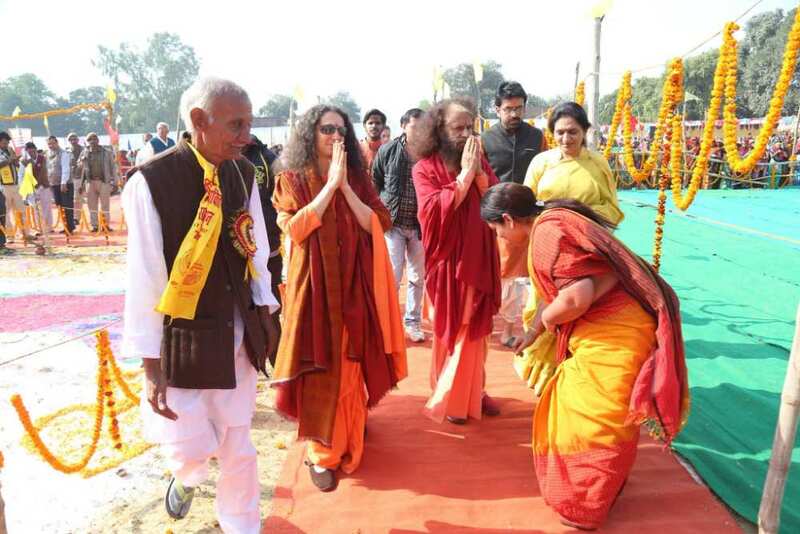 Our scriptures and mantras tell us the Divine Mother deserves the foremost respect and reverence. 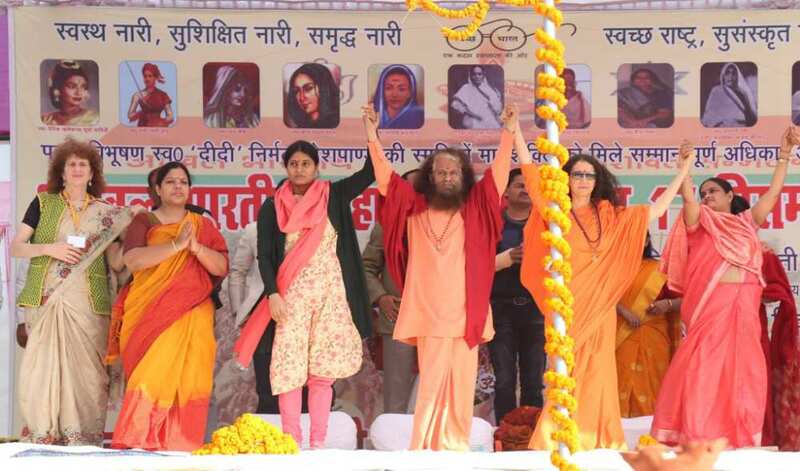 Tragically and ironically though, although we chant mantras and prayers to the Goddess in our temples, we have forgotten to respect her outside of the temples. 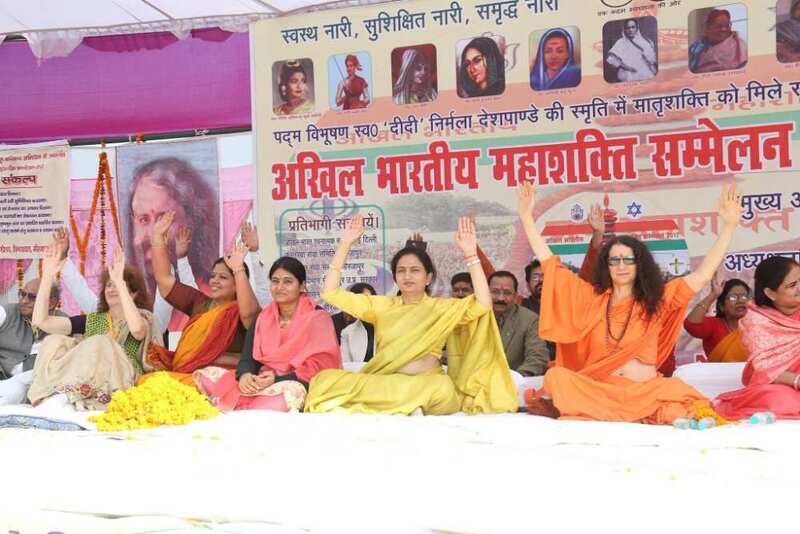 Today, too frequently, that which is the Divine Feminine – from our mothers, sisters and daughters to our nature and earth – has become seen as a commodity to be used and abused. 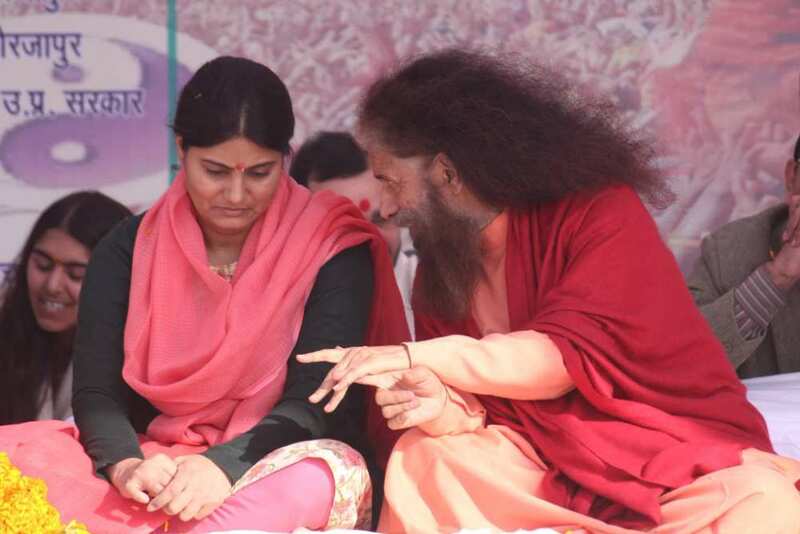 We need to take the mantras into our lives, take the prayers into our lives and bring that reverence into every minute of every day! 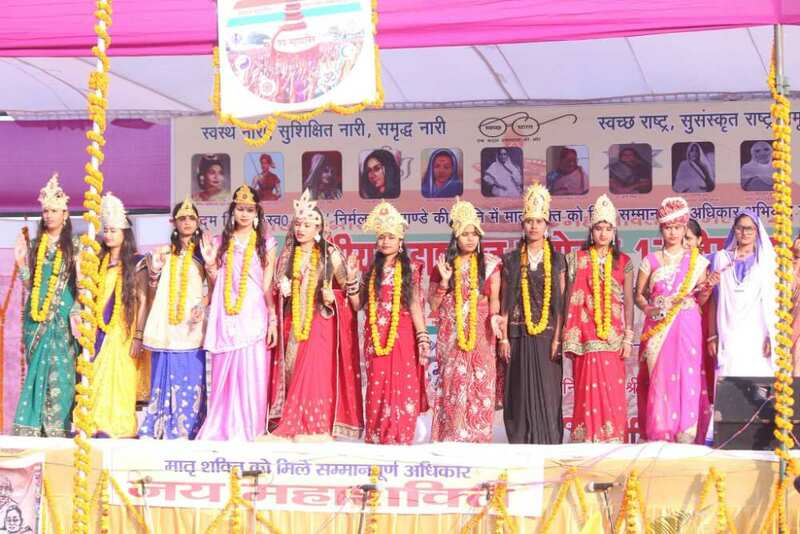 In order for there to be a truly progressive, sustainable, strong, healthy and happy community and world we must protect, preserve and serve the divine feminine in all its forms.” She inspired the women to promise not to throw their trash outside and to build/use toilets for their homes and communities. 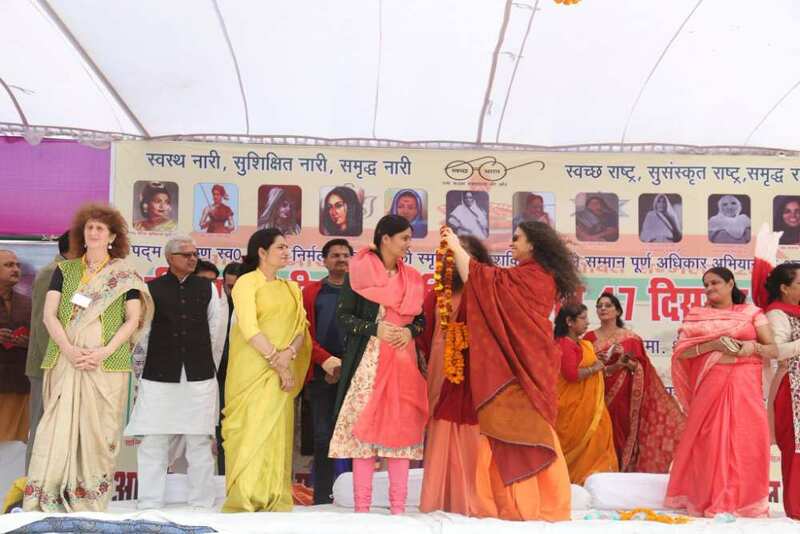 The Hon’ble Minister shared her government’s great commitment, under the able leadership of Hon’ble Prime Minister Shri Narendra Modiji, to a Swachh and Swasth Bharat. 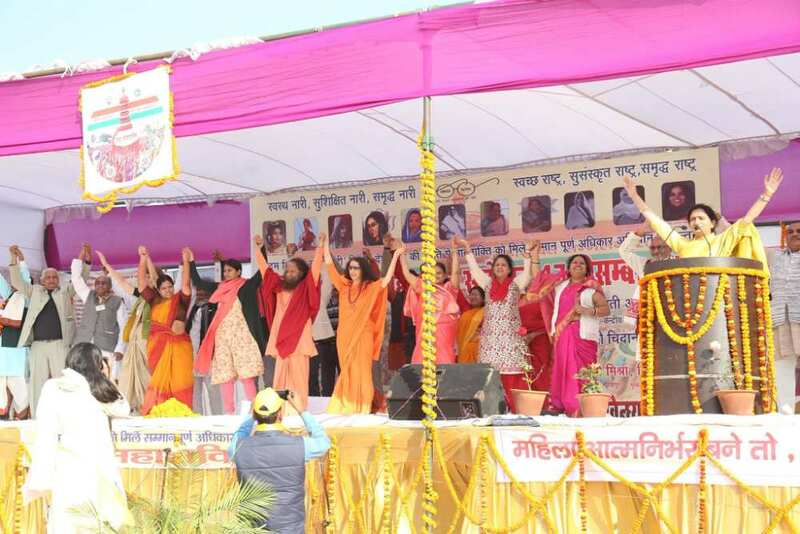 She shared that her offices are always open and ready to listen to any needs, complaints or requests that the people had and would continue to work tirelessly to ensure the needs of the people were made, especially so that enough toilets were there for all of our sisters and mothers. 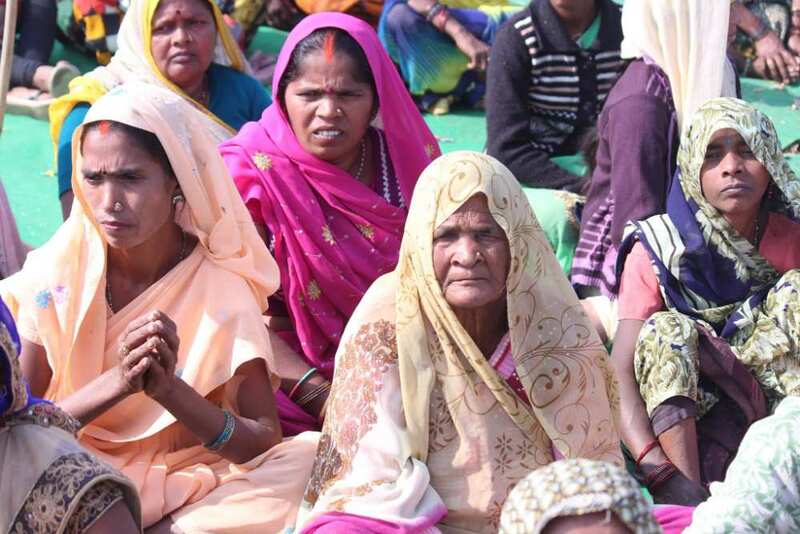 After the event, there were follow-up enthusiastic meetings about how GIWA and Prabodhini would work together to ensure that these programmes for the women of Uttar Prasesh continue with greater momentum and inspiration. 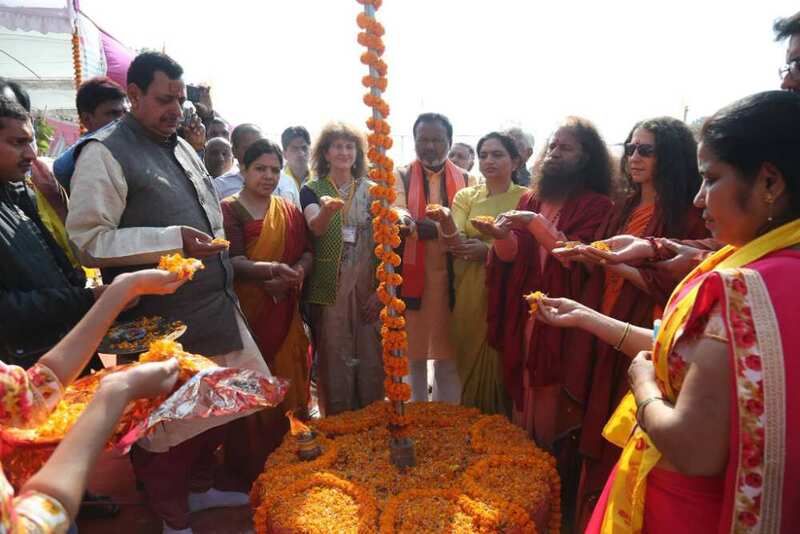 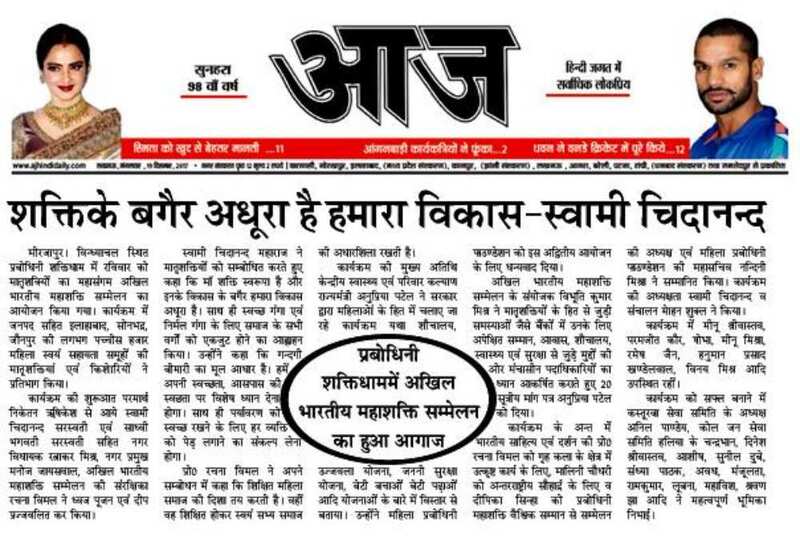 They also planned for a MahaShakti Kumbha in the upcoming Kumbha Mela in 2019 in Allahabad.